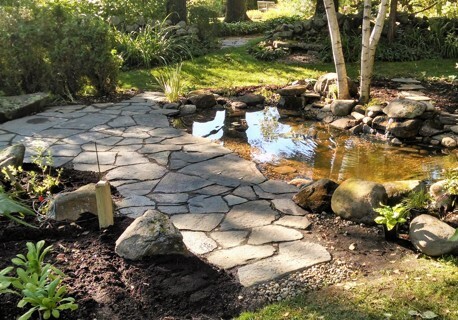 Ecoscapes provides a wide array of hardscape and landscape services. We’re passionate about any project, large or small, and greatly value being a part of and contributing to the community. We offer a large variety of services. Call or email for more information. From design to installation, projects are completed with a focus on quality and detailed craftsmanship that will endure the test of time. Having proper drainage around your home and property can prevent flooding, and erosion. We can evaluate your drainage needs and provide effective drainage solutions. Gaps or openings in freestanding stone walls can define an entryway leading people into meadows, through gardens, or on a walkway to your front door. 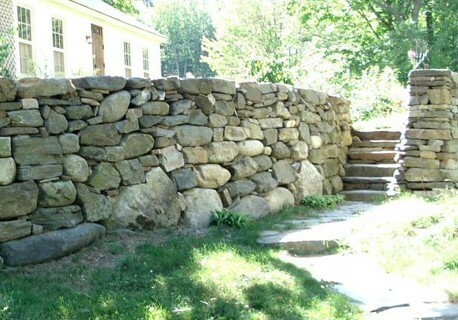 A well designed dry laid stone wall is where true craftsmanship can be expressed. 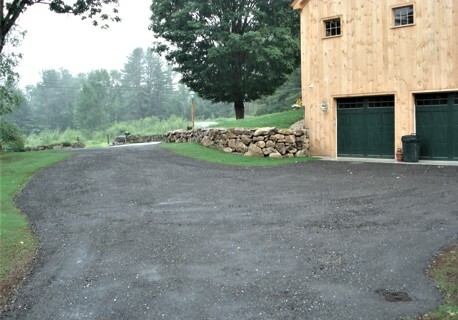 One of our specialties is rebuilding old stone walls and bringing them back to life. A stone patio can transform an area on your property into a place to entertain, relax and enjoy. Consider flagstone for your patio with its earthy shades of brown, grays, blues and reds giving you a natural organic look. It provides a natural slip-resistant surface that is durable and long lasting. 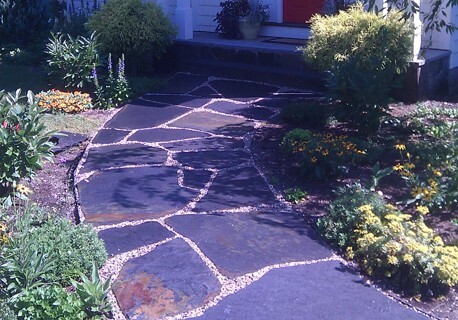 Stone walks or steps can also be added as a transition between any parts in your property. Pavers come in a variety of materials and can be installed in different patterns to form focal points in an otherwise dreary walkway. We’re passionate about any project, large or small, and greatly value being a part of and contributing to the community. Not sure what you are looking for? Let us design a concept for your new project! Our impact on the environment is a matter of choice. We choose to provide a service that promotes green living and the practice of conservation of our resources, most importantly water and energy. Preserving our natural landscape is our number one priority.